Are you an AT&T customer? If so, you need to know about AT&T Access Card from Citi, a no-annual-fee rewards credit card that favors AT&T purchases and online retail and travel spending. Like Citi stalwarts Citi ThankYou Preferred Card and Citi ThankYou Premier Card, AT&T Access Card uses the ThankYou Rewards program, which has a loyalty currency – ThankYou points – that can be redeemed for gift cards, merchandise, travel, and more at Citi’s ThankYou Rewards portal. It also has the same great benefits that come standard with most other Citi credit cards: Citi Price Rewind, Citi Private Pass, and a variety of purchase and travel protections. It’s true that AT&T Access Card from Citi is a niche product. You’re not likely to see it on our list of the best cash back credit cards or best travel rewards credit cards anytime soon. But, if you’re an AT&T customer who likes to shop for products and travel online – who doesn’t? – you should at least take a closer look at what this card has to offer. When you spend at least $1,000 within 3 months of opening your account, you get 10,000 bonus ThankYou points. That’s good for up to $100 in gift cards at the ThankYou shopping portal. AT&T Access Card from Citi earns unlimited 2 ThankYou points per $1 spent on purchases made at retail and travel websites. It also earns unlimited 2 ThankYou points per $1 spent on products and services purchased directly from AT&T, including cell phone plans, cable packages, electronic devices, accessories, and more. All other purchases earn 1 point per $1 spent. There are no caps or restrictions on how much you can earn, and your points don’t expire as long as your account remains open and in good standing. You can redeem your ThankYou points for just about anything at the ThankYou Rewards portal: general merchandise, such as electronics and clothing, gift cards, travel and transportation purchases, cash back, and more. You can also use your points to pay for purchases with select merchants online, including Amazon.com and Best Buy. To maximize your points’ value, gift card redemptions are the way to go. They typically value points at $0.01 apiece. General merchandise redemptions have variable point values based on the underlying dollar cost of the items for which you’re redeeming – usually between $0.005 and $0.01 apiece. Paying with points at online retailers offers similar value. Redemption minimums vary by redemption method: Gift cards require at least 2,500 points ($25 value), while cash redemptions require at least 10,000 points ($50 value). Citi Concierge is a bespoke service that provides round-the-clock access to a “staff of specially-trained experts who are ready to assist you with your travel, shopping, dining, entertainment and everyday needs,” per Citi. Citi allows you to choose your payment due date. If monthly cash flow is a concern, this can really help with budgeting and forecasting. You may be entitled to reimbursement of expenses incurred when a covered item is lost, damaged, or reported stolen within 90 days of purchase (120 days for New York State residents), subject to certain limitations and restrictions. AT&T Access Card from Citi has no annual fee or authorized user fee. The foreign transaction fee is 3%. Balance transfers cost the greater of $5 or 3%. Cash advances cost the greater of $10 or 5%. Late and returned payments cost up to $35. 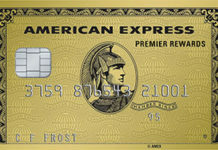 First National Bank American Express Card requires good credit. No Annual Fee. AT&T Access Card from Citi has no annual fee. That’s great news for light spenders and frugal cardholders who don’t earn rewards quickly enough to offset recurring charges. Solid Earnings for Online Shoppers, Travelers, and AT&T Customers. This card’s 2x categories cover retail websites, travel websites, and AT&T products and services. According to Citi, “retail websites” include “department store websites, specialty store websites, warehouse store websites and boutique websites” – a list that easily runs into the thousands. “Travel websites” include online travel agencies and booking sites as well as travel merchants’ own websites – meaning pretty much any travel purchase is fair game. Meanwhile, if you’re an AT&T customer, you likely pay the company hundreds of dollars per year in plan fees and payments for products. Bottom line: If you’re an AT&T customer who regularly purchases travel and consumer products online, you can earn 2x points on a significant chunk of your discretionary spending. If you redeem for gift cards at the ThankYou Rewards portal, that’s a return on spending of up to 2%. Versatile Rewards Program. Citi’s ThankYou Rewards program is quite versatile. You can redeem ThankYou points for pretty much anything, from hard cash, to gift cards, to merchandise, to travel. Low Baseline Earning Rate. This card has a relatively low baseline earning rate: just 1 point per $1 spent on non-AT&T, non-travel, and non-online retail purchases. If you’re looking for a rewards credit card with a higher baseline earning rate on all spending, check out Chase Freedom Unlimited Card (unlimited 1.5% cash back) or Citi Double Cash Card (unlimited 2% cash back). No 0% APR Introductory Promotion. This card doesn’t have a 0% APR introductory promotion on purchases or balance transfers. If you need to finance a large purchase without incurring interest charges for months, or transfer high-interest balances from an existing credit card account, look to Chase Freedom (0% APR on purchases and balance transfers for fifteen months) or Chase ThankYou Preferred Card (0% APR on purchases and balance transfers for twelve months). Cash Redemptions Offer Poor Value. The ThankYou Rewards program might be versatile, but it’s not perfect. One weak spot: cash redemptions, which value points at just $0.005 apiece and require 10,000 points ($50 value) before you can redeem. BankAmericard Cash Rewards Credit Card treats cash back redemptions more fairly: Every earned cash back point is worth $0.01, every time. 3% Foreign Transaction Fee. AT&T Access Card from Citi has a 3% foreign transaction fee. If you routinely travel outside the country, this will more than offset any rewards you earn on international spending. Some competing rewards cards, including Discover it Card, don’t charge foreign transaction fees. Charges Penalty Interest. AT&T Access Card charges penalty interest on past-due balances. If you occasionally miss statement due dates because of unpredictable cash flow or unexpected expenses, this is a big drawback. No Cell Phone Protection or Other Direct Benefits for AT&T Customers. Though this card is explicitly designed for AT&T customers, it has a glaring omission: no cell phone protection plan. Though the purchase protection feature can technically be applied to phones and other personal electronics, it only lasts for 90 days. By contrast, cell phone protection plans typically remain in force for years. The AT&T Access Card from Citi isn’t the most popular rewards credit card in the world. That’s because it’s not supposed to be. This card is built for AT&T customers, who can easily rack up hundreds of dollars in charges each year by setting up auto-pay on their monthly cell phone bills. It’s also useful for people who patronize online retailers and purchase travel online, but there are better options for serious travelers. Depending on where you sit, this could be the perfect card for your spending needs – or not. The AT&T Access Card from Citi is an ideal spending aid for AT&T customers. The ideal user is an AT&T customer who uses the card to pay their phone, cable, and Internet bills and purchase new devices and accessories directly from AT&T. Thanks to the above-average rate of return on travel and online retail spending, there’s a separate case to be made for AT&T Access as a secondary card used specifically for those types of spending. However, dozens of travel credit cards and retailer-specific credit cards (including options from Walmart and Amazon) offer superior rewards and benefits. Plus, the foreign transaction fee penalizes international travelers. Key benefits include no annual fee, broad 2x categories, and versatile rewards program via ThankYou Rewards. Drawbacks include the low baseline earning rate, lack of a 0% APR introductory promotion, poor value on cash redemptions, 3% foreign transaction fee, penalty interest charges on past-due balances, and no cell phone protection plans or other value-added benefits for AT&T customers. Overall, this is a solid choice for AT&T loyalists, frequent domestic travelers, and people who do lots of shopping online, but there are better choices for everyone else.